Step 1: Enable your channel for monetization. Step 3: Take a minute to get to know the kinds of videos you can monetize and the different ad formats. Find out how you can apply for the YouTube Partner Program and have an opportunity to make money from ads and other revenue streams. On YouTube, you can connect with a community and have an opportunity to make money while doing what you love. Creators around the world have shared their voices on YouTube, and many have turned their passions into earnings. Successful creators usually tap into multiple revenue streams to sustain their presence on the platform. Understanding the levers that impact monetization can help you plan your channel strategy to support your goals. If you’re relatively new to YouTube, you may want to first consider how to create great content that viewers watch consistently, and try out strategies to grow your community, to maximize your opportunity to make money. With a dedicated audience that loves tuning into your channel, you can explore various ways to generate revenue, including from ads and other sources. We’ll show you how to get started and where to find out more. 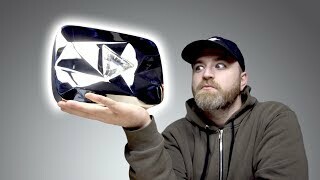 Unbox Therapy celebrates hitting 10 million subscribers, steadily building an audience after uploading his first video in 2010. A childhood interest in technology has evolved into a popular YouTube channel. The YouTube Partner Program (YPP) allows creators to monetize eligible content on YouTube. Creators can apply to join the program in these countries. You need to complete the 4 steps below before you can earn money on YouTube. Step 1: Read and agree to the YouTube Partner Program terms. After signing into YouTube, enter YouTube Studio, and select “Monetization” from the left menu. Under “Monetization”, follow the onscreen steps to accept the YouTube Partner Program Terms. Step 2: Sign up for AdSense. Create a new AdSense account or connect an existing one to your channel. You need an AdSense account to earn money from your videos and get paid. Set up an AdSense account. Step 3: Set monetization preferences. Next, set what types of ads you want to run on your videos and confirm you want to monetize for all your existing and future videos. You can change these settings in the future. Step 4: Get reviewed. Once your channel meets the program threshold, we'll review your application to make sure your channel activity adheres to the YouTube Partner Program policies, YouTube Terms of Service, and our Community Guidelines. You can check your status in your account. To be reviewed for the YouTube Partner Program, channels need at least 4,000 watch hours in the previous 12 months and 1,000 subscribers. This requirement allows us to properly evaluate new channels and helps protect the creator community from spammers, impersonators, and other bad actors. Note: It’s important to understand your rights for monetizing content on YouTube, including all audio and video. Copyright or Community Guidelines violations can impact your ability to earn money. 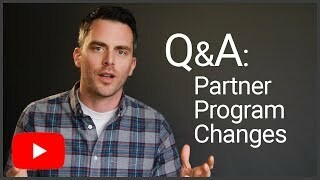 Matt from the Creator Academy addresses questions about changes made to the YouTube Partner Program in early 2018 to protect the community. There are a number of ways you can earn money from your channel. If you’ve been approved for the YouTube Partner Program (and are in compliance with YouTube Partner Program policies), you can explore these monetization options. Consider which revenue streams may be best for your channel based on your content, audience, and preferences. When you’ve enabled your channel for monetization, you can earn more revenue if you monetize all future uploads and turn on all ad formats as your default. Find out how ads show on videos you monetize. Your videos must comply with our advertiser-friendly content guidelines. In addition, monetization status is determined by factors such as video metadata (thumbnail, title, tags, and description). Learn more. Some advertisers may use targeting tools to define where they want their ads shown. This allows them to reach audiences they wish to reach based on demographics, interests, or past interactions with videos. Some videos don't violate our policies, but may not be appropriate for all audiences. In some of these cases, our review team may impose an age restriction, and these videos cannot be monetized with ads. Learn more. If you upload videos with controversial or sensitive topics, you may want to turn off ads on individual videos, allowing you to opt out of monetization for any videos that aren’t advertiser-friendly while remaining in the YouTube Partner Program. If your channel as a whole isn’t suitable for advertising, because of the nature of your content, you can disable ads and still pursue other monetization options for which you’re eligible. With Channel Memberships, viewers pay a monthly recurring fee to get unique badges, new emoji, Members-only posts in the Community tab, and access to unique custom perks offered by creators. This feature is available to channels in certain locations who meet the requirements. You also may have the option of linking to approved crowdfunding sites from your video cards or end screens. Learn more. You can also earn revenue by selling merchandise that complements your channel. You can link to approved merchandise sites to offer your fans t-shirts, mugs, or other items. (Merch needs to comply with YouTube’s Community Guidelines.) In addition, there’s a new integration with Teespring that enables eligible creators to sell merch from a shelf on their channel. Learn more. Super Chat is a way for fans and creators to interact in live chat. Fans can purchase Super Chats to highlight their messages within chat during a live stream or Premiere. This feature is available to channels in certain locations who meet the requirements. If you’ve enabled Super Chat, you’ll receive this revenue in a similar way to the way that you receive ads revenue with AdSense. Learn more. Working with brands can be another revenue stream and an opportunity to introduce new products and services to your audience. Brands are often eager to do deals with creators because it allows them to reach a desired audience and expand their market. (Review these guidelines on paid product placements and endorsements.) Learn more. With YouTube Premium, viewers can enjoy videos on YouTube without ads while still supporting creators. It also lets viewers download videos to watch offline on mobile and play videos in the background. YouTube Premium is available as a paid membership in these locations. Revenue from YouTube Premium membership fees gets distributed to creators based on how much members watch your content. Ready to learn more about diversifying your revenue? Check out our course on ways to make money beyond ads. Note: Revenue streams related to your channel are subject to YouTube terms and policies including YouTube’s Community Guidelines. Some monetization options are not available in all locations, and certain channel features may have specific eligibility requirements.